Credit scores are usually the last thing people usually think about when they go to sign up for new cell service, or upgrade an existing plan. However, for anyone with bad credit or a limited credit history getting cell service can be difficult, since many carriers will require a large deposit (use this tool to check) for hundreds or even thousands of dollars which most people simply don't have to spend on a phone. It turns out you have choices! With this guide, I compare the best plans for people with bad credit or no credit, for each of the four major wireless carriers (Verizon, AT&T, Sprint, and T-mobile). Despite what customer service will tell you (since they often want you to pay the huge deposit and get locked into a contract plan) there are quite a few options that require no deposit and no credit check. In most cases you will want to go with a prepaid plan. I think that when people hear "prepaid" they still think of the TracFones from 10 years ago... but most prepaid plans these days support the latest smartphones, including iPhone and Samsung Galaxy. You could even argue that prepaid plans are better than contract plans in many cases - but more on that below. Here are the plans I currently recommended if you have bad credit or limited credit. Basic Phones: $35 / month plan that includes unlimited talk and texts and 500mb of data. Smartphones: $45 / month with unlimited talk & text and 1gb of data. Choose from a variety of smartphones including the latest iPhones and Samsung Galaxy phones. You can purchase additional data - pricing varies by plan. 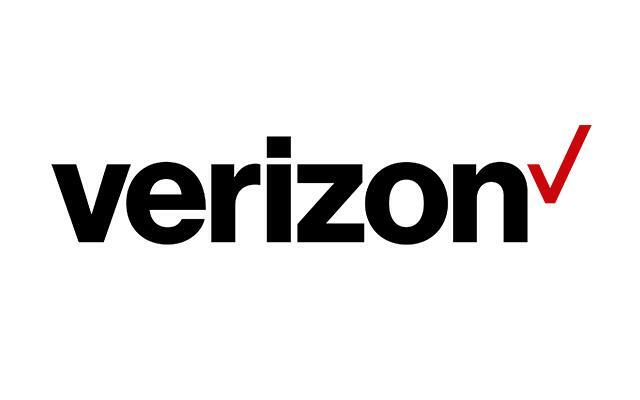 Verizon also allows you to bring your own phone. Get 1GB of Bonus Data Every Month when you sign up for a smartphone prepaid plan with Autopay. Basic Phones: $45 / month with Unlimited nationwide Talk, Text & Data Usage; includes 1.5GB of Data Usage at speeds up to 3G. Smartphones: $45 / month with Unlimited nationwide Talk, Text & Data Usage; includes 1.5GB of Data Usage at LTE (high speed). Basic Plan: $35 / month with Unlimited nationwide Talk & Text. If you need additional data you can purchase it in increments of 500mb for $10 if you have the $45/ month plan. Choose from a variety of latest smartphones, including iPhones and Samsung Galaxy and Note phones. New Smartphone Equality program for people with limited credit history or bad credit. Make 12 months of on-time payments and qualify for a new smartphone at the lowest upfront-price. 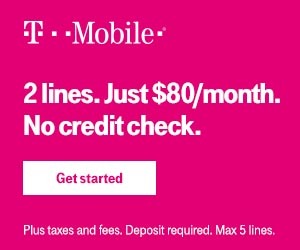 Or choose T-Mobile Simple Choice Plan with No Credit Check - learn how here! For a limited time, buy one Samsung Galaxy S9 and get one free when you add a line. Or buy a Galaxy S9+ or S8 Active and get $720 off a second Offer valid thru 6/29/2018. New customers: 25% Off Select Accessories Offer valid thru 6/30/2017. Limited variety of smartphones include only older iPhones and Samsung Galaxy phones. No activation fees or hidden fees. Why is a Prepaid Plan Better? Prepaid plans don't require a deposit because the phone isn't subsidized, meaning that you pay for your phone up front. Phones range from $50 up into the hundreds, depending on what phone you chose. First, you don't have to pay a deposit and can often just buy the phone outright for less than half of the required deposit for a contract plan. The third major advantage is that you can cancel service or change carriers at any time, since you aren't locked into a contract. * Contract plans histarically are more expensive because you are paying off the phone that you *thought* was free. It actually wasn't free - the cost is just baked into your bill each month. Of course, these calculations may change as providers are moving towards new leasing, early upgrade, and installment payment plans to make the phone cost more transparent. In conclusion - if you have bad credit or limited credit it's usually cheaper to just buy the phone outright and go with a prepaid plan. Many people are moving to prepaid and unsubsidized plans regardless of their credit scores, simply because you get more flexibility and many of the plans are just as good as their subsidized counterparts, for half the price. The editorial content on this page is not provided by any of the companies mentioned and has not been reviewed, approved or otherwise endorsed by any of these entities. Opinions expressed here are the author's alone.